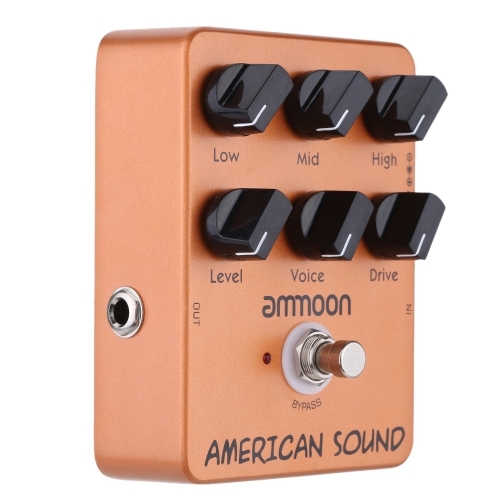 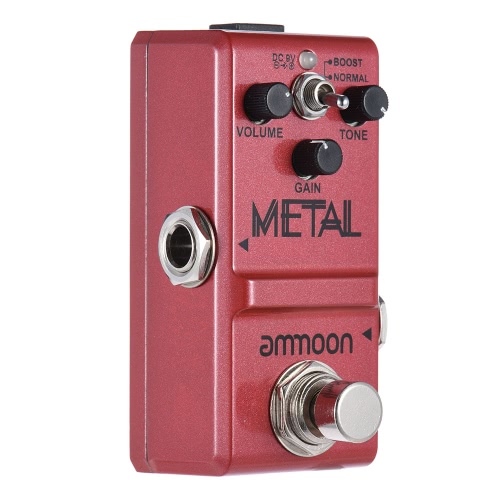 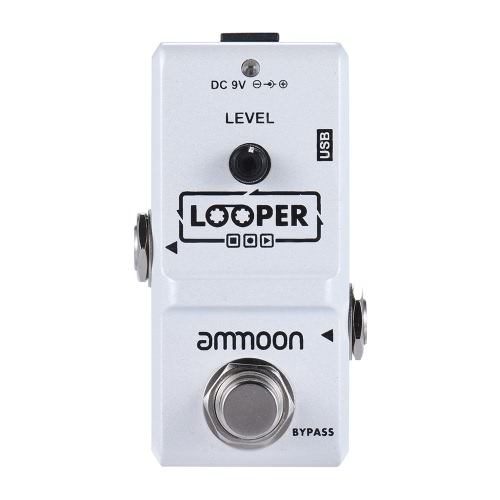 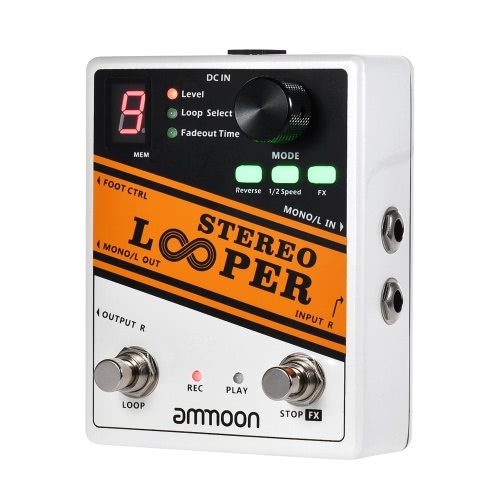 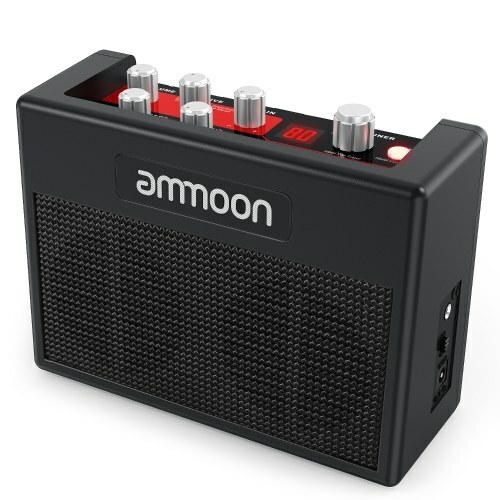 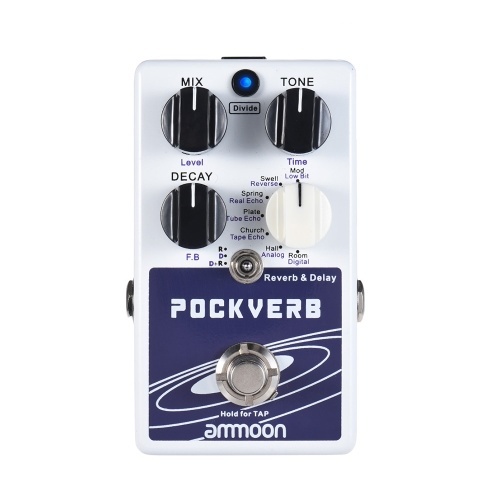 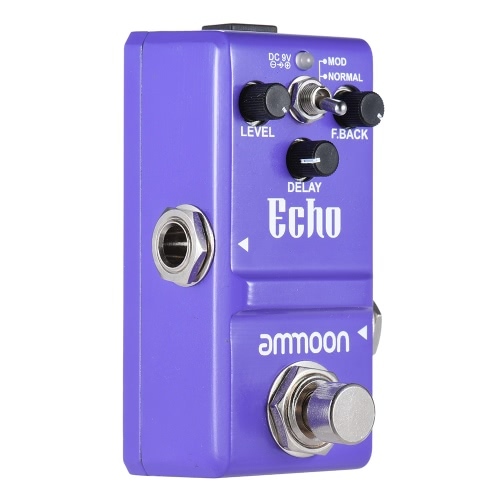 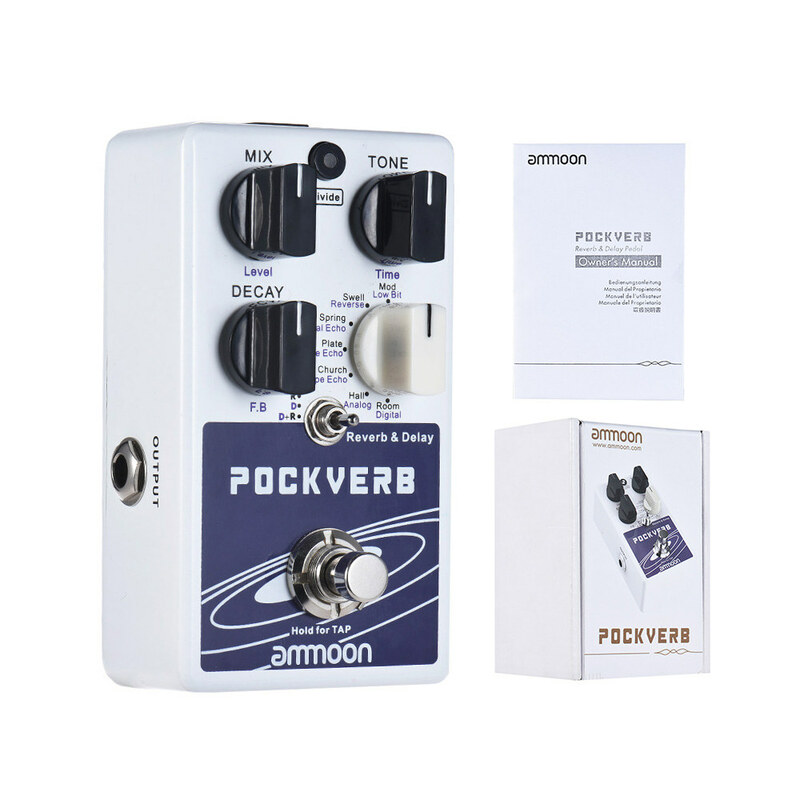 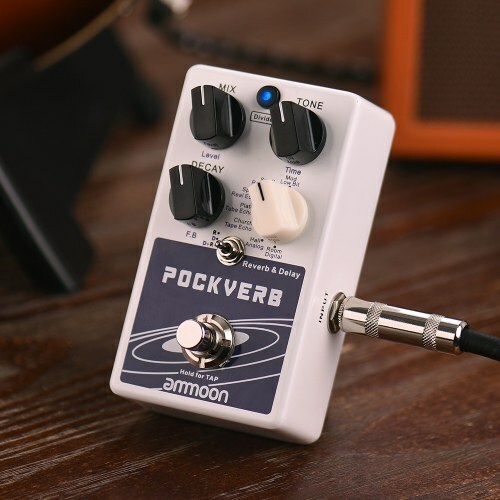 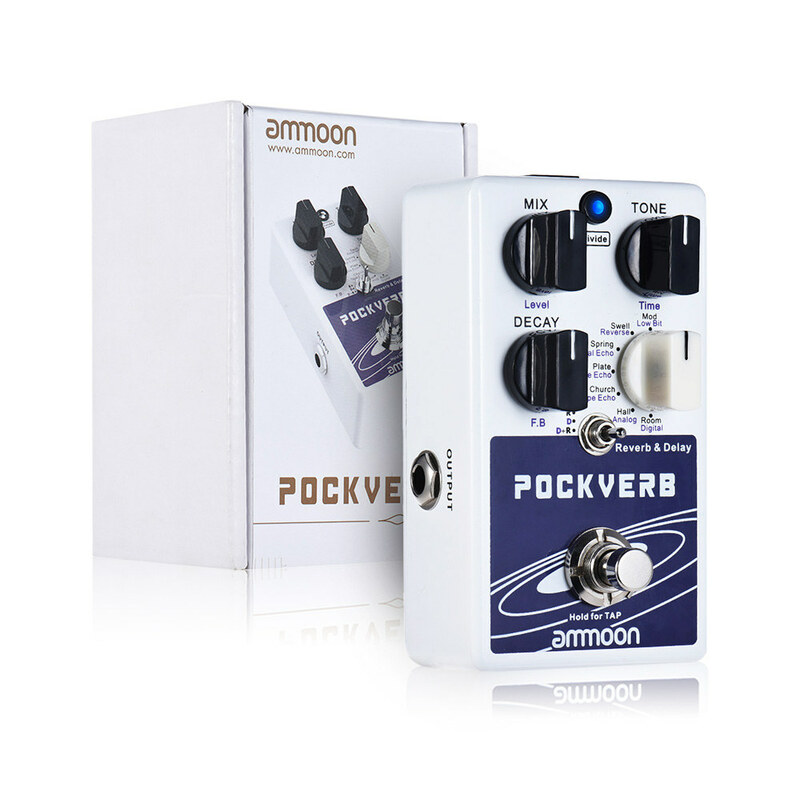 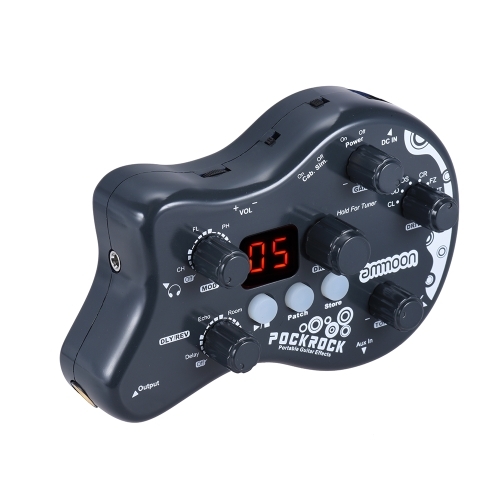 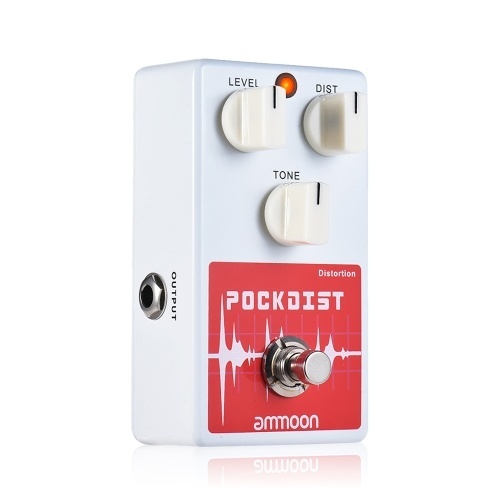 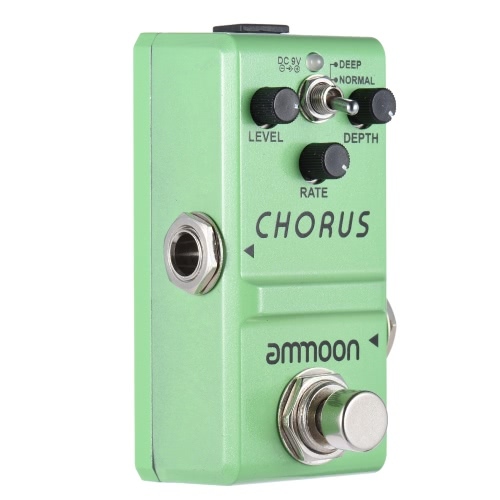 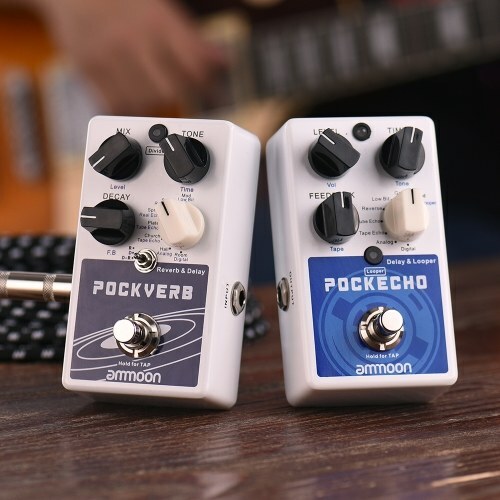 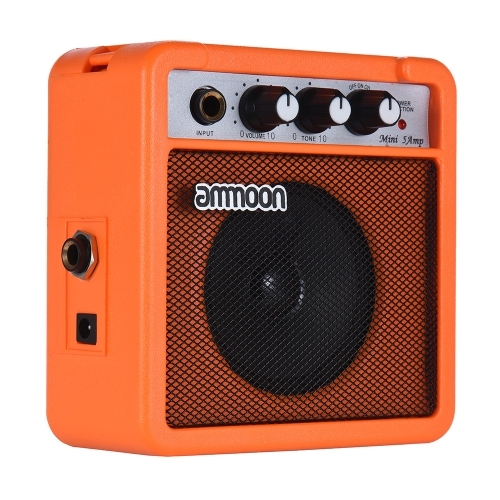 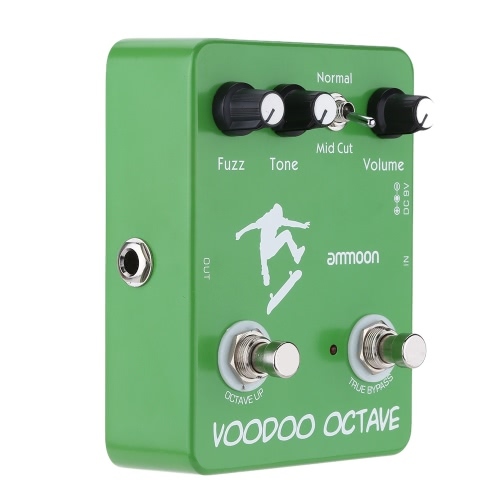 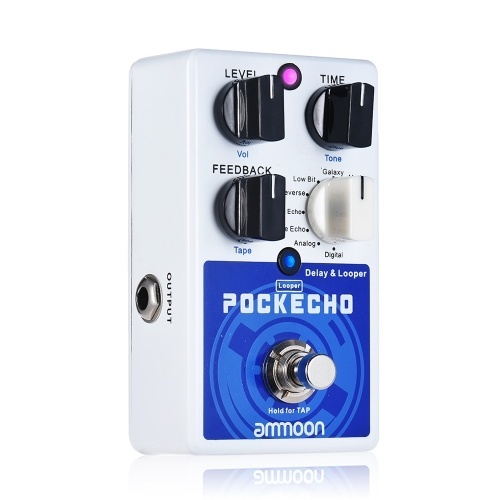 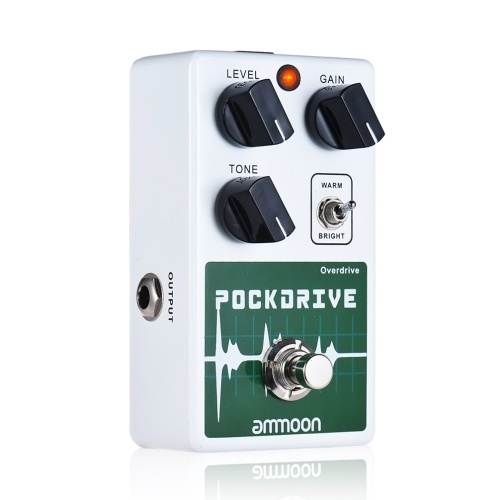 The ammoon POCKVERB contains 7 digital reverb effects and 7 delay effects. You can use the reverb and delay effects independently or simultaneously by the toggle switch to get various tones. 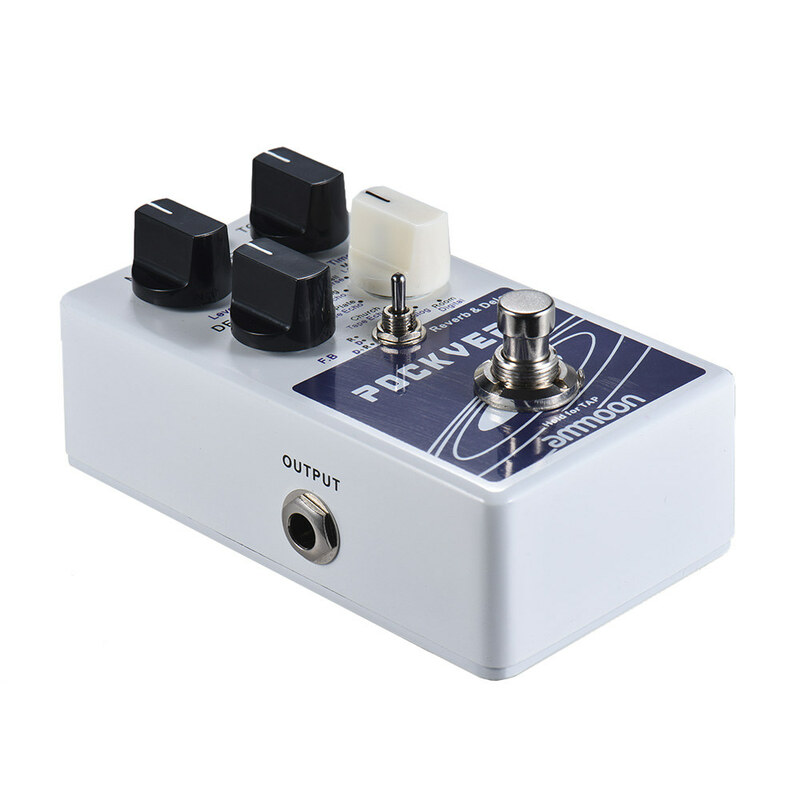 And the tap tempo function and optional bypass trails make you have yourself a hugely versatile pedal that should be in the toolbox of every musician. 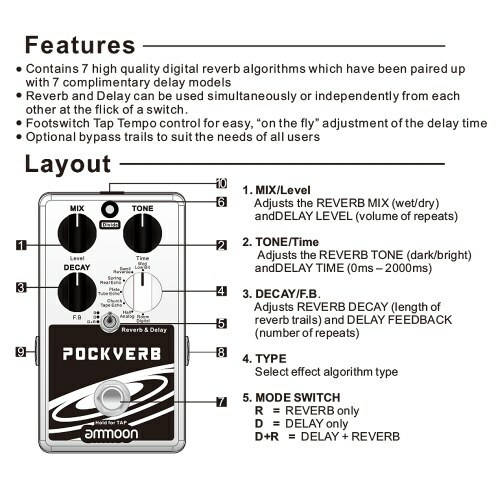 7 reverb effects( Room, Hall, Chruch, Plate, Spring, Swell, Mod) and 7 delay effects(Digital, Analog, Tape Echo, Tube Echo, Real Echo, Reverse, Low Bit) combined in one small pedal. 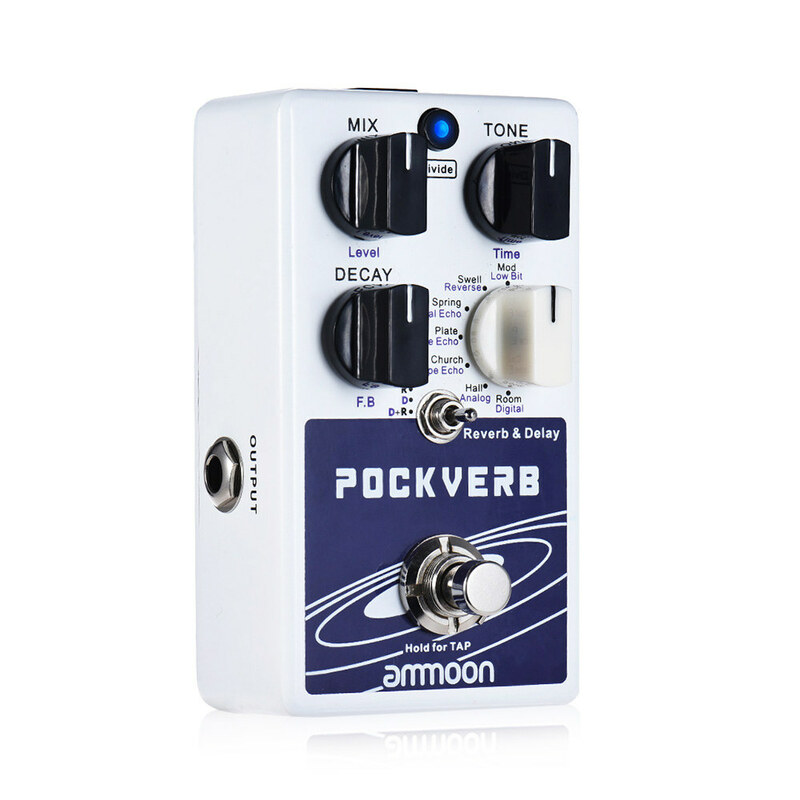 Reverb and delay effects can be used independently or simultaneously by the toggle switch, you can get huge ambient tones from this pedal. 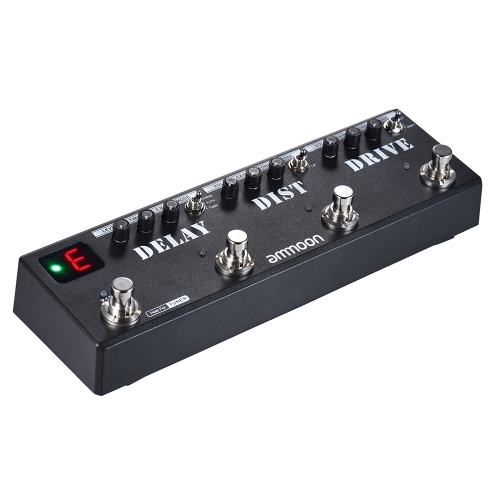 MIX/Level knob: adjusts reverb wet/dry signal mix or delay volume; TONE/Time knob: adjusts reverb tone(dark/bright) or delay time(0ms-2000ms); DECAY/ F.B knob: adjusts reverb decay or delay feedback. 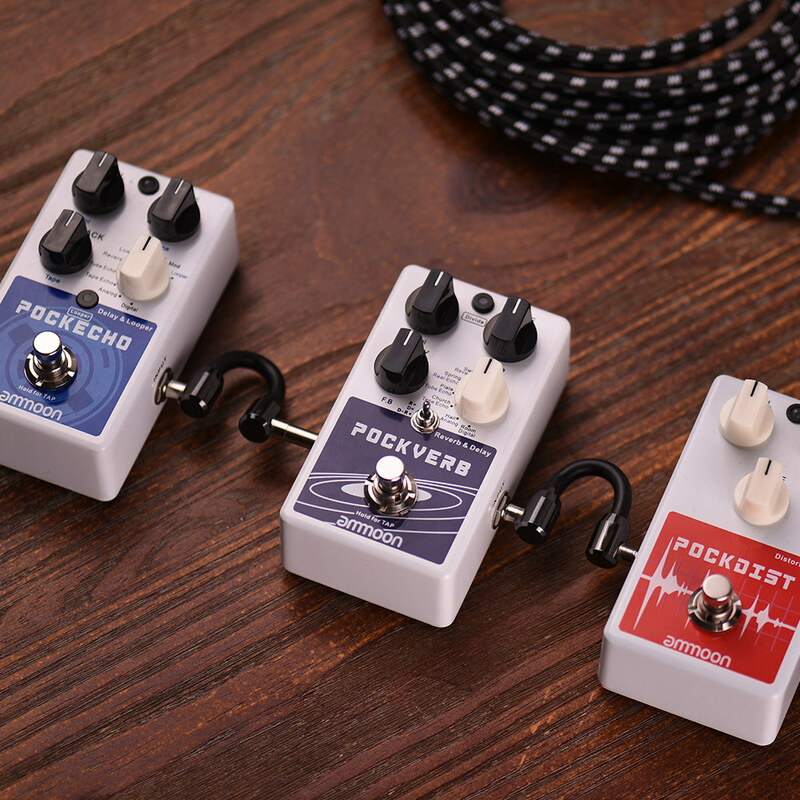 With bypass trail, pressing the footswitch to toggle trail on/off; Supports TAP TEMPO function, pressing and holding the footswitch for 2s to enter/ exit tempo control. 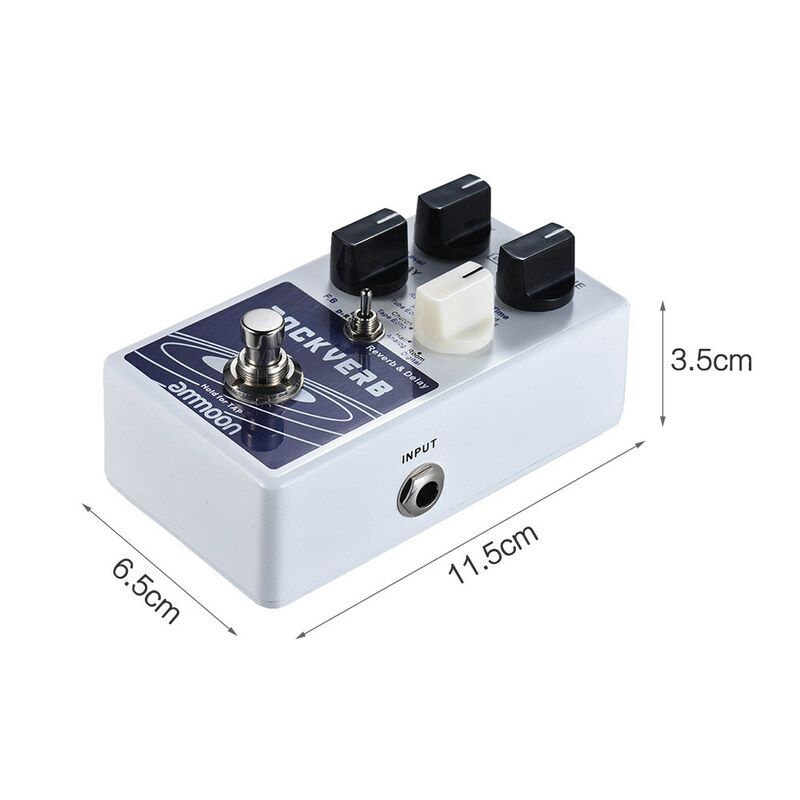 Full metal shell, sturdy and durable; standard 1/4" mono input/ output jack; DC 9V 150mA power supply.